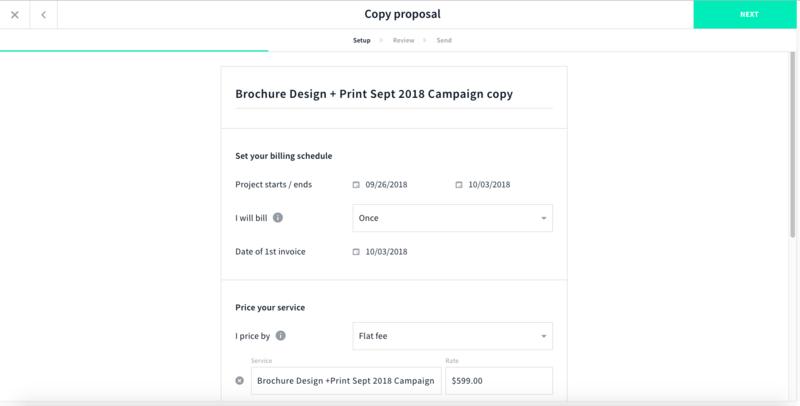 How Do I Duplicate a Proposal or Make a Proposal Template? Looking to reuse an existing Proposal with a new client? With a few clicks you'll be able to fully duplicate a Proposal and Contract! 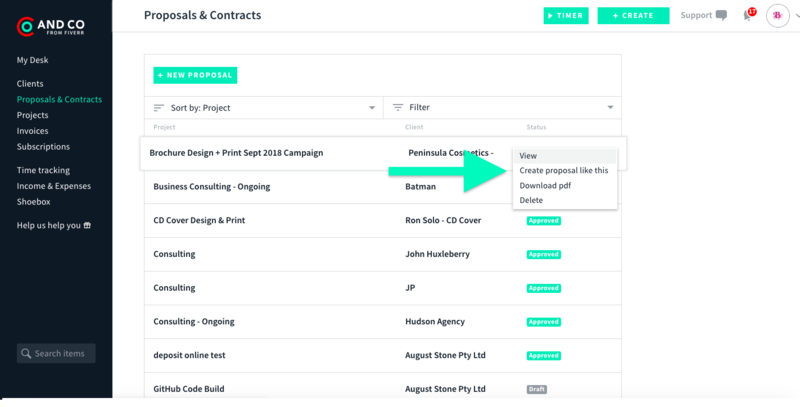 To create a copy of your Proposal, head to Proposals > click the three dots "..." and select "Create proposal like this." You'll see right away that your client will be pre-selected, but you will be able to select or create a new client from this screen. Select "Next" and your Proposal terms and Contract selections will already be in place. Feel free to edit the title and any other details you'd like for your new Project! 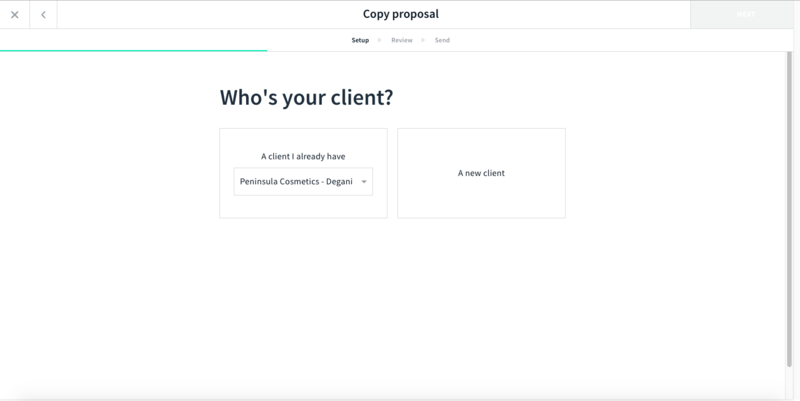 NOTE: Because you can duplicate any Proposal as many times as you want, feel free to use this feature to create your very own Proposal template!